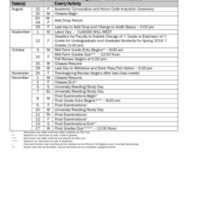 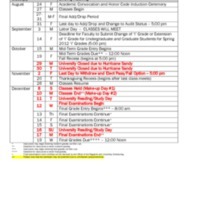 Draft of the 2006-2007 academic calendar from May 15, 2006 to January 15, 2007. 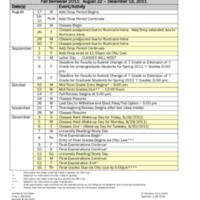 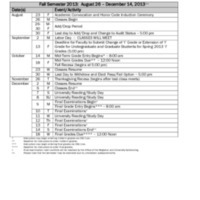 Academic calendar for the 2006-2007 semester from August 21, 2006 to July 9, 2007. 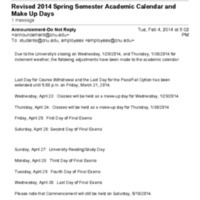 An email announcing a revision to the Spring Semester Academic Calendar due to inclement weather.